Initially he gained fame as the author of such novels as Far from the Madding Crowd (1874), The Mayor of Casterbridge(1886), Tess of the d’Urbervilles (1891), and Jude the Obscure (1895). However, since the 1950s Hardy has been recognized as a major poet, and had a significant influence on The Movement poets of the 1950s and 1960s, including Phillip Larkin. The bulk of his fictional works, initially published as serials in magazines, were set in the semi-fictional region of Wessex and explored tragic characters struggling against their passions and social circumstances. Hardy’s Wessex is based on the medieval Anglo-Saxon kingdom and eventually came to include the counties of Dorset, Wiltshire, Somerset,Devon, Hampshire and much of Berkshire, in south west England. Hardy sadly passed away on 11th Janaury 1928. Tony Hadley, the former lead singer of Spandau Ballet, celebrates his fifty third birthday on 2nd June 2013. Formed in London in 1976 Spandau Ballet consisted of Gary Kemp and Steve Norman on guitar, later saxophone and percussion. They were joined by fellow student John Keeble and the three met regularly at lunchtimes to practise. Keeble was followed by bass player Michael Ellison. Tony Hadley, then joined as lead singer, Richard Miller replaced Michael Ellison on bass, before Kemp’s younger brother, Martin joined the band a couple of years later. The band was originally called ‘The Makers’ in the early years, but changed their name after a friend of the band, saw the name ‘Spandau Ballet’ scrawled on the wall of a nightclub lavatory during a visit to Berlin. Spandau Ballet, began performing with this name and generating a positive buzz around London. Their music prior to then was in the style of the early Rolling Stones or The Kinks, but became more electronic as they began to hang out in clubs such as Billy’s and Blitz, where they would listen to bands like Kraftwerk and Telex. The Blitz was regarded as the New Romanticism. They released the first single “To Cut a Long Story Short”, just ten days after the band emerged from the studio in order to meet the huge demand created by the buzz they had established, “To Cut a Long Story Short” was an instant British top 5 hit in 1980. This was followed by hits with “The Freeze”, “Musclebound” and the well-received and Gold-certified album Journeys to Glory in 1981. The album had all the hallmarks of what would become known as the New Romantic sound and the sound of the early eighties.The follow-up album, Diamond, was released in 1982 and was certified Gold by the BPI and featured the funk-flavoured single “Chant Number 1″. The second single from Diamond was “Paint Me Down”, the third was, “She Loved Like Diamond”, Trevor Horn remixed the track “Instinction”, which was released as the fourth single from the album.With a slicker, more pop sound, the band released their third album True in March 1983. The album topped the charts all around the world, and launched several international hit singles, such as Gold and the title track which reached number 1 in several countries.The follow-up album, Parade, was released in June 1984 and the album’s opening song was, “Only When You Leave”. At the end of 1984, the band performed on the Band Aid charity single and in 1985 they performed at Wembley Stadium as part of Live Aid.During this same year, Spandau Ballet achieved platinum status with the compilation, The Singles Collection, containing songs like Lifeline and Communication, which kept the focus on the band between two studio albums and celebrated their five years of success. American actor and film producer Zachary John Quinto was born June 2. He grew up in Pennsylvania and was active in high school muical theater. In the early 2000s, he guest starred in television series and appeared in a recurring role in the serial drama 24from 200 to 2004. In 2006, he also acted in the sitcom o NoTORIous and portrayed series antagonist Sylar in the science fiction drama Heroes from 2006 to 2010. Quinto also played Spock in the 2009 reboot Star Trek, and its 2013 sequel, Star Trek Into Darkness which starts when The USS Enterprise is sent to observe Planet Nibiru whose primative inhabitants are all in danger of being wiped out by a volcano, so Kirk(Christpher Pine) intervenes despite being toldnot to and is releaved of his command, and Admiral Pike reassumes command of the Enterprise. Shortly afterward, a secret “Section 31″ installation in London is bombed. So an emergency meeting is called at Starfleet headquarters, which Kirk attends as Pike’s first officer. The meeting is attacked by a gunship piloted by a chap named John Harrison (Benedict Cumberbatch). Kirk takes the gunship down, but Harrison escapes and Pike dies.After Pike’s funeral, Admiral Marcus (Peter Weller) authorizes Kirk to hunt down Harrison, who has fled to the Klingon homeworld of Qo’noS which lies deep in Klingon territory and relations between the Klingon Empire and Starfleet are frosty to say the least. Charlie Watts, English musician with the The Rolling Stones was born 2nd June 1941. The Rolling Stones were formed in London in 1962 and have become one of the most commercially successful and critically acclaimed acts in the history of popular music. The group’s earliest line-up consisted of Brian Jones (guitar, harmonica), Ian Stewart (piano), Mick Jagger (lead vocals, harmonica), Keith Richards (guitar, vocals), Bill Wyman (bassist) and Charlie Watts (drummer). As of 1993, Jagger, Richards and Watts are the only remaining original members, completing the official line-up with Ronnie Wood (guitarist). In studio and live performances, Darryl Jones (bassist) and Chuck Leavell (keyboardist) also serve as a regular contributors. 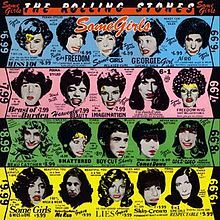 The Rolling Stones have released twenty-two studio albums in the United Kingdom (24 in the United States), eleven live albums (twelve in the US), and numerous compilations Including Beggars Banquet, Sticky Fingers, Exile on Main Street, Some Girls, Let it Bleed, Grrr and Forty Licks. Their album Sticky Fingers (1971) began a string of eight consecutive studio albums reaching number one in the United States including the albums Exile on Main Street and Some Girls. Their most recent album of new material, A Bigger Bang, was released in 2005 and the greatest hits collection Grrr was also released in 2012. In 2008, Billboard magazine ranked the Rolling Stones at number ten on “The Billboard Top All-Time Artists”, and as the second most successful group in the Billboard Hot 100 chart. Inducted into the Rock and Roll Hall of Fame in 1989, the Rock Hall states; “critical acclaim and popular consensus has accorded them the title of the “World’s Greatest Rock and Roll Band.” They were ranked number 4 in Rolling Stone magazine’s 100 Greatest Artists of All Time.